Get your team’s feedback at the beginning of the software selection process. Once you've identified your needs, look for software that can automate as many tasks as possible. More expensive software can be worth it if you’re getting the functionality you need, but be aware of integration costs, overages and user licenses. Your dealer network, online forums and vendor websites are good informational resources, but software demos are the best way to figure out how well a system meets your needs. Dealers know a thing or two about big, complex decisions. As you know, customers wrestle with vehicle purchases every day. You answer their questions and wait through the number-crunching and the weighing of pros and cons. You watch husbands call wives and wives text husbands for second opinions before finalizing anything. You guide them through it because you’re the expert, and you’ve seen it all before. Yet when it’s time to make a big purchase for your dealership — like new software — suddenly you’re the one in analysis paralysis. You’re also the one thinking several steps ahead, trying to anticipate whether the software will meet your needs and solve your problems, worrying about whether you’ll regret or celebrate making such a big investment. Choosing dealership software is a big decision. And like any big decision, it’s complicated. It takes time to research all your options. Your choice affects almost everyone in your business. Staff turnover and competing priorities can derail the purchase process. But if you can help customers buy the right car, you’ve got what it takes to buy the right dealership software. This five-step plan will put you on the right path. If your team isn’t invested in your new software, it doesn’t matter what solution you pick: they won’t use it. And why pay for something that won’t get used? That’s why it’s critical to get your team’s buy-in now. Assemble a committee, and start asking questions. What problems do they have with the current system or process? What do they need the new one to do? Don’t forget to include your salespeople. They can be your biggest software users and should have a voice. The only way you’ll find a system that meets your needs is to actually know what you need. Will it improve existing processes or put new ones in place? What gaps should it fill? Will the vendor offer post-sale support? Does their software integrate with your other systems? As you answer these questions, write down the features and capabilities that are non-negotiable. Once you’ve nailed down your needs, look for software that can automate as many tasks as possible. Your system should automatically complete no-brainer tasks like sending reminders to your team or running reports. Software is a big investment. But if you choose the right solution, it can have even bigger returns. As you’re working out your budget, remember that a slightly higher price can be worth it if you’re getting the functionality you need. Still, keep an eye out for integration costs, overages and user licenses. These add up fast, and you can usually avoid them. Now is the time to read the fine print. You’re not the only one exploring the software market. When you’re researching your options, don’t reinvent the wheel. Check in with your dealer network or employees who have used other systems in the past. Get as much trustworthy insight as you can. Online forums are another great place to find dealer reviews of software. But keep in mind that even great solutions or vendors can get a bad review from time to time. Look for overall themes in the reviews you read. Don’t forget about vendor websites. Even before you sit down for a demo, you can learn a lot about vendors by their online presence. Software demos are the best way to figure out how well a system meets your needs. But don’t let the vendor run the show. Ask questions! You should know whether or not a software system meets all your requirements by the end of your demo. Don’t settle for a yes-or-no answer — find out how. A “yes” with one system could be a faster, easier “yes” with a different one. As you demo more systems, you’ll probably think of follow-up questions. Don’t be afraid to demo the same software more than once. You can ask the vendor to record the demo, too, so you can review it later. 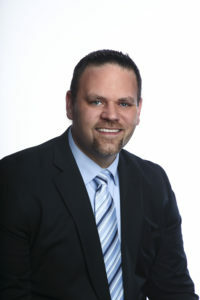 Chase Abbott is the vice president of sales at VinSolutions and Dealertrack F&I. He spent many years in the dealership as an Internet Director, Finance Director, and GSM. He can be reached at chase.abbott@coxautoinc.com.